The Embassy Suites Richmond is located in the West End near the University of Richmond St. Mary*s Hospital Henrico Doctor*s Hospital and the Innsbrook Corporate Business Park. This all-suite hotel is just minutes from Richmond International Raceway Downtown Richmond Virginia State Capitol Richmond Convention Center Richmond Coliseum Virginia Commonwealth University and Two Open Air High End Malls. The Richmond International Airport is just 16 miles away. King*s Dominion Amusement Park is just 20 miles down the road. 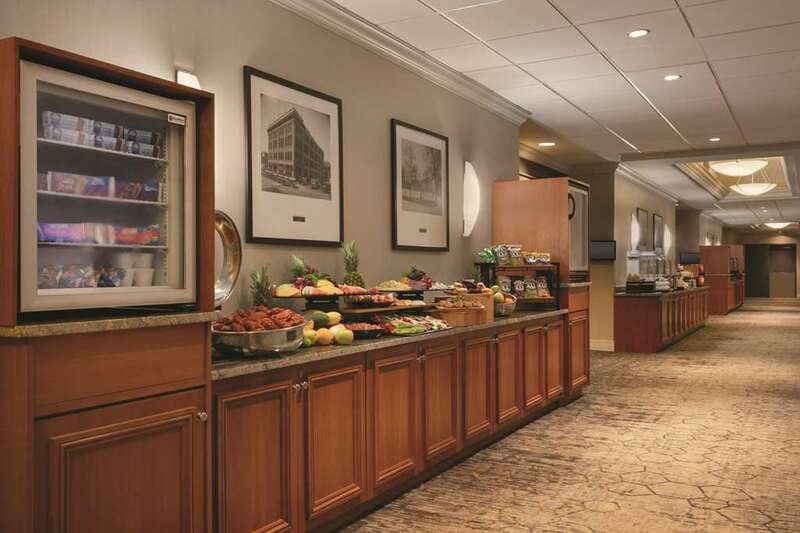 Guests of the Embassy Suites Richmond Virginia hotel stay in spacious two-room suites and receive a complimentary made-to-order breakfast and Evening Reception. The hotel offers complimentary WiFi. The hotel features Richmond*s only IACC approved Executive Meeting Center.